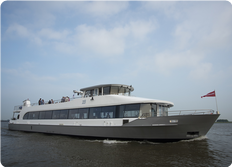 Gaastmeer Design BV provides services in the full range of naval architecture. Our extensive practical knowledge and experience ensures high quality in our designs. Our services range from the theoretical to the most practical. On these pages we present a selection of completed projects and an impression of our activities and services. The team at Gaastmeer has extensive experience with a wide range of vessels. The develop- ment of a new design is a close collaboration between us, the owner and the shipyard on the basis of user requirements and area of operation. Each stage of the structural design, whether it is steel, alu- minium or composites, is handled by the team at Gaastmeer. Our activities cover the full scope, from general construction plan and hull strength calculations to detail engineering, such as crane- and engine foundations. Hydrodynamic studies, such as resistance calculations, are executed based on hull shape, weight information and area of operation. Minimal resistance is reached by optimalization of the hull. 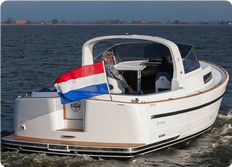 The propulsion unit is tuned to the user requirements and sailing area in such a way to achieve high fuel efficiency. With the aid of modern CAD/CAM software we work out the complete structure. For steel and aluminium structures we produce detailed infor- mation enabling all parts to be cut from plates and shaped, so that a yard can begin construction without delay. Stability calculations are performed to ensure a ship complies with (inter)national rules or to determine what is possible for any existing vessel or new design. Both for new designs and existing vessels, we perform calculation on intact stability and damage stability. 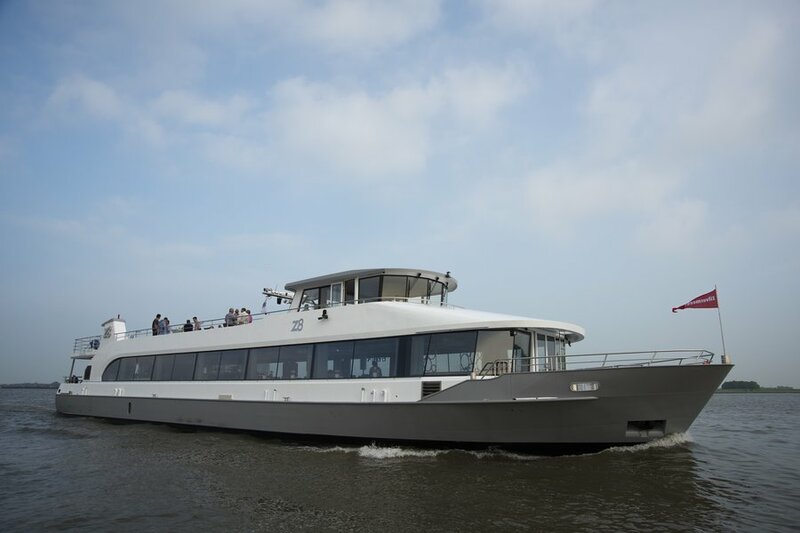 Gaastmeer Design bv is a design and concultancy company in naval architecture. We have extensive experience designing yachts of various types. 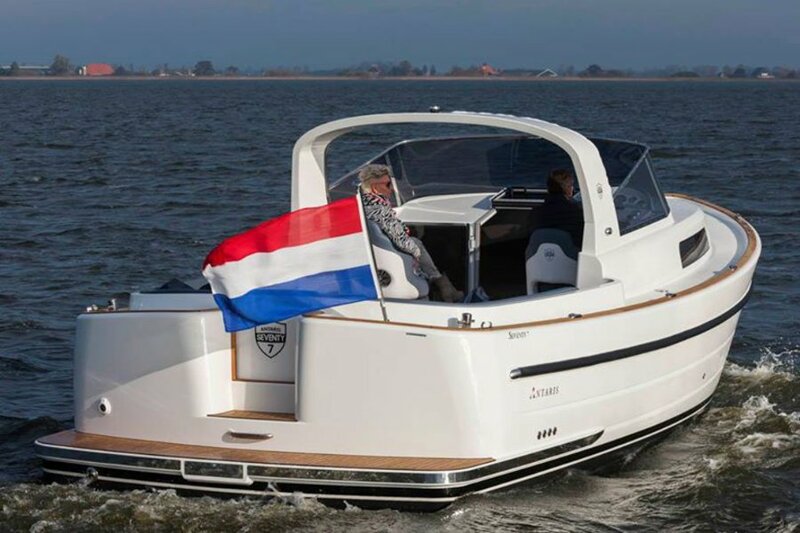 Our designs range from traditional Dutch round-bottomed yachts to ocean cruisers and from comfortable luxury motor yachts to high-speed tenders. Any successful yachtdesign is a combination of creative styling and practical functionality. From the conceptual design all the way to the delivered vessel it is crucial to unite these - sometimes conflicting - elements. Each type of yacht has her own requirements for the optimal hull shape. Each hull is faired in 3D with the aid of specialized computer software. In this process, the hull is faired to optimize low resistance and efficient propulsion. On sailing yachts, sails obviously provide propulsion. 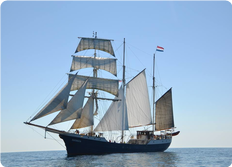 But the sail plan and layout of the rigging also influences the stability, ease-of- use and comfort on board tremen- dously. Our services range from the design of the general sailplan to strength calculations of the rigging and advice and calculations on performance optimization. The behavior of a yacht at sea or under sail is of utmost importance for the safety and ease-of-use. Intact stability and - when required - damage stability calculations are made, thereby verifying compliance with legal and user requirements.